These are painfully simple and yet completely delicious. Are you ready for this? There are TWO ingredients…..TWO! It doesn’t get much simpler than that, folks. My mom has been serving these for years as part of her appetizer spread. 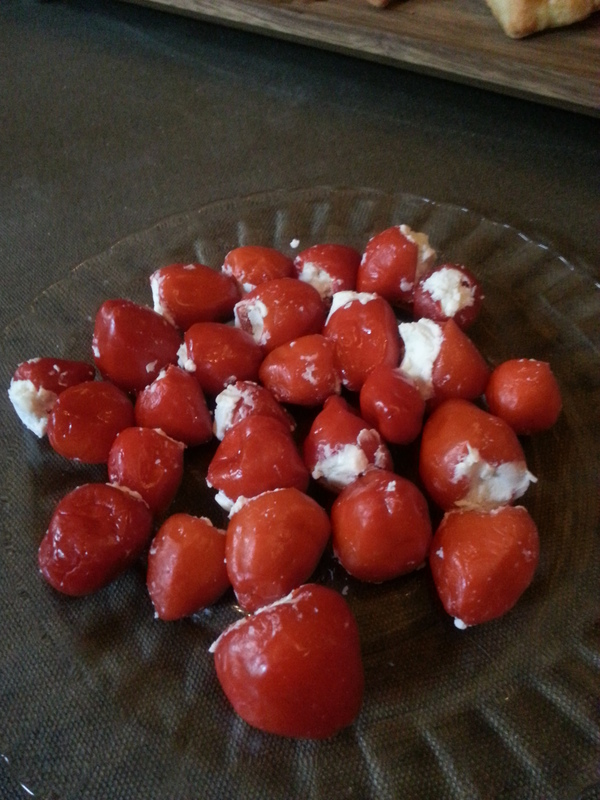 My dad used to stuff the peppadews with cheese to help her out in the kitchen. All you need to do is take a little bit of fresh goat cheese (or any type of fresh soft cheese of your liking) and shove it in the cavity of the pepper. That’s it!!! You can easily find peppadews in your local supermarket’s olive bar. 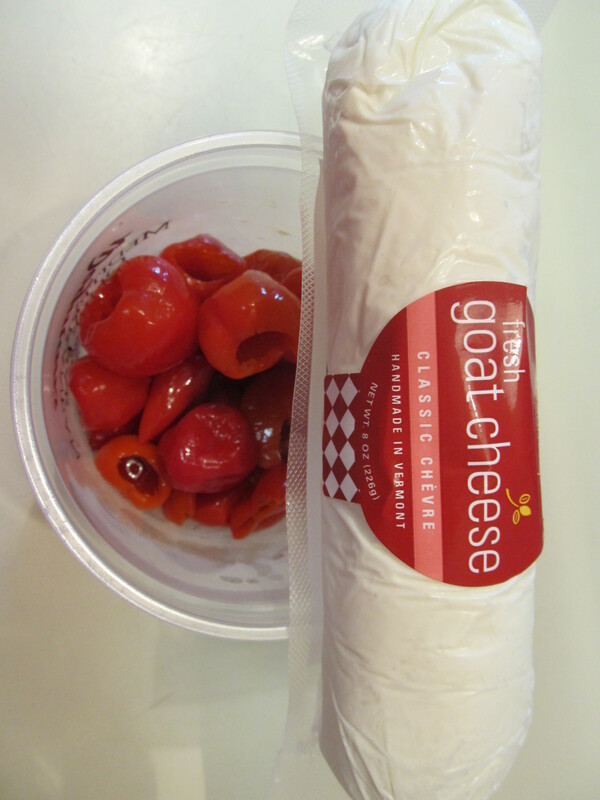 If you have never tried one, peppadews are a little tangy/spicy in flavor – which is why stuffing them with a smooth soft cheese tones down the tang! 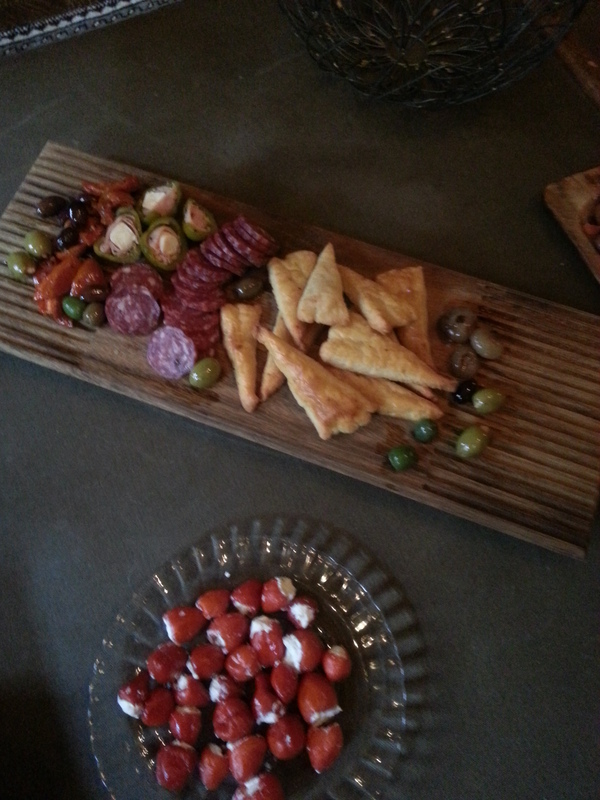 These colorful gems look great mixed into a spread of olives and random meats as part of an appetizer smorgasbord. Doesn’t that look nice? Next time you are stumped for some finger-foods to put out for company, give these babies a try! 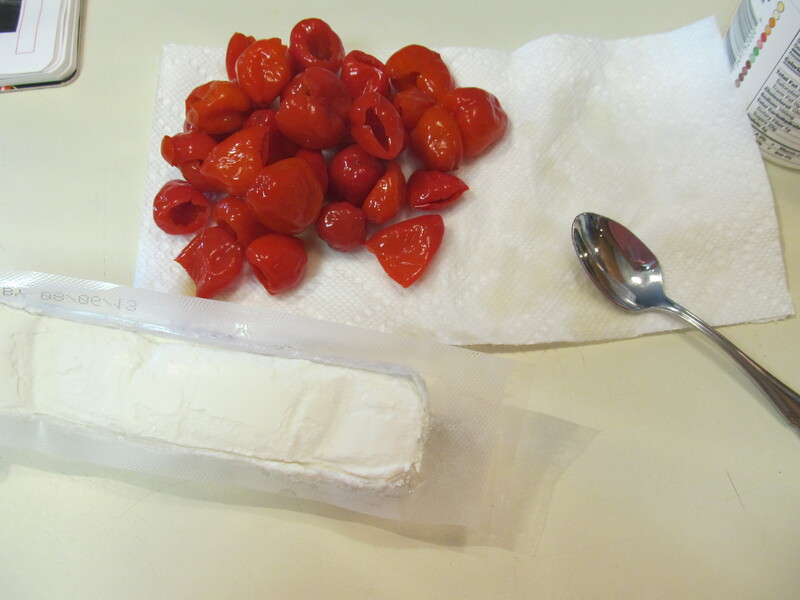 Drain any water out of peppadews. 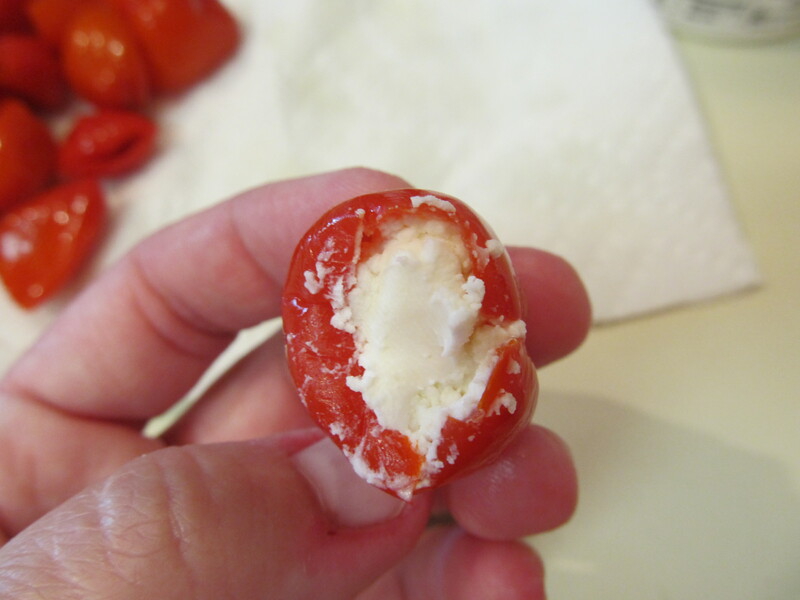 With small teaspoon, shove some goat cheese inside the cavity of the pepper.